A fantastic action shot - and it looks like you almost had the beach to yourselves as a bonus. Brilliant photo, love how curious they are. They look like they are loving the feel of the sand beneath their feet. Lovely to be outdoors and feeling it a little warmer. Lovely photo. They look like they are having a lovely time on the beach. How cute. I flipping love the seaside. 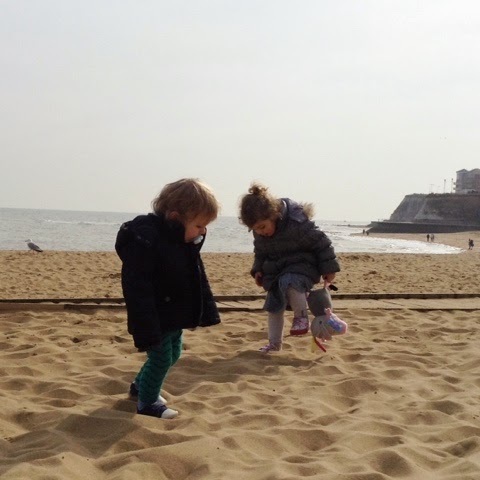 How lovely that they're playing on the sand in March - roll on Spring! !